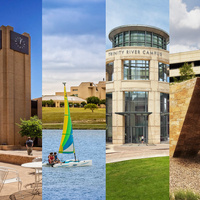 Districtwide events take place throughout the Tarrant County College District, on multiple campuses. Check the locations page on our website for details on specific campus locations. Not as smooth as I expected; the link for payment dates by term brought up an empty table. I captured a screen shot but I'm not sure who to send it to. I was able to log in early on Saturday morning (April 21) at 6am to register for my Fall 2018 semester classes. It went very smoothly and all the classes that I had been watching were open. It helped that I put them on the "preferred list" tab, that way when I registered, all I had to do was submit! Super quick and easy! I'm in all the classes I wanted for Maymester and Summer I. It was very easy. I especially like that I can stage the classes for registration almost a month ahead of time. I didn't encounter any issues! I got there at 1pm and there was only one person ahead of me. I waited maybe 5 minutes and got all the help and answers I needed!